If you are reading this, there's a good chance that you are hoping to re-establish your credit while raising your FICO score in the process. These goals can all be accomplished by applying for a bad credit special financing auto loan? If this is what you are looking for then you have come to the right place, congratulations. On this journey you will be taking the first steps towards a greater financial future. Since you have made the great decision to go through the special finance buying process, now might be a good time to explain what a bad credit special finance auto loan truly is. The purpose of bad credit special financing is to help you to re-establish your overall credit and raise your FICO score all by financing or renting to own a dependable car, truck or SUV. The key is to find a vehicle that fits your needs and budget plan first. Once your credit is back on track and moving in the right direction, then you can start working your way towards your dream vehicle. In the mean time, a dependable pre-owned vehicle will allow you to keep your payments affordable. In addition to reliable transportation, there are a few things you should consider purchasing as well. For one, if you are thinking of purchasing a rent to own vehicle with bad credit, you should consider including a service contract with your purchase. But why would you want to purchase your own service contract? The biggest reason would be for your own peace of mind. For most people with a limited income and damaged credit, purchasing a vehicle may be stretching a budget that is already tight. However, purchasing a service contract can help you from paying more money out of your pockets. 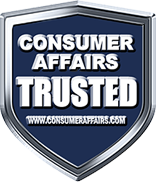 With a service contract consumers can have the costs of vehicle repairs, labor and parts covered. This means less money out of your pocket. A service contract is similar to an insurance policy. You are betting that your car is going to break, while the service contract company is betting that it won't. Which side of the argument would you rather be on? And even though today's automobiles are much more reliable, there can be things that are out of the buyers' and dealerships' hands. It's better to plan on spending an extra $25 a month on top of your payment, than to have to come up with $300 or more - right now - to replace a part in order to get your car, truck or SUV running again. The bottom line is that the tighter your budget, the more important it is to avoid unexpected expenses. During the Autos Rent To Own process for car buyers with bumpy or bruised credit, we highly recommend purchasing a service contract if you need to finance a used vehicle even with poor or less than perfect credit. 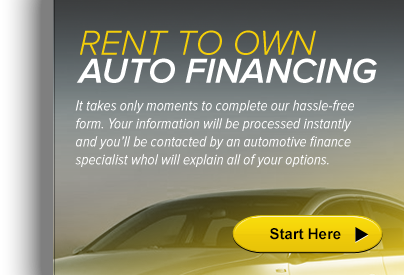 Autos Rent To Own can help you with your automobile needs with our special financing for bad credit. Start today!